In Genesis you find no specific instruction given to Adam and Eve to produce “after their own kind”, as all the other creatures are told (beginning with Genesis 1:11). But you do find the instruction for man to multiply and fill the earth (Genesis 1:28). This instruction was repeated to Noah and his family after the flood (Genesis 9:1). Later you find a question in Malachi 2:15, as to why did God make a two (the husband and wife) into one flesh? 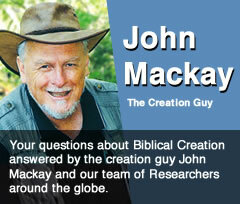 The answer given via Malachi is that the Creator God might bring fourth for Himself godly offspring. The two were made one flesh. Hence Jesus’ quote re marriage in Matthew 19:4b. Tying this together with the fact that man was made in God’s image, we therefore were created ‘godly’. Since God the Father directed the creation through Christ, by the power of the Holy Spirit, it should not surprise us, that God can challenge us through the prophet Malachi, with the reason that God made Adam and Eve one flesh, He made then as image bearers of godliness, so this is the foundational reason He still wants a marriage of man and women to produce godly offspring saying it another way i.e. Adam and Eve were to produce “after their own godly kind” from the very beginning. But it has a wider application. When we become Christians, when we repent of sin and receive Christ into our lives through the indwelling of the power of the Holy Spirit, when we turn back to God’s ways and walk in godliness, have you ever noticed Christ’s next instruction? “Go into all the world, preach the Gospel and make disciples and teach these disciples everything I have commanded you” (Mark 16:15, Matthew 28:19-20). In other words the Christian is to multiply and fill the earth, produce godly offspring, and reproduce after our own “saved” kind. So the answer to the question is very simple. We never read the words “after your own kind” applied to man. It is stated to all the other creatures, but man is not just any creature. We are a unique creation; made in His image, yet the principle is there in so many other ways, you can’t miss the point.